The Sands at Nomad offers you the ultimate beach getaway. 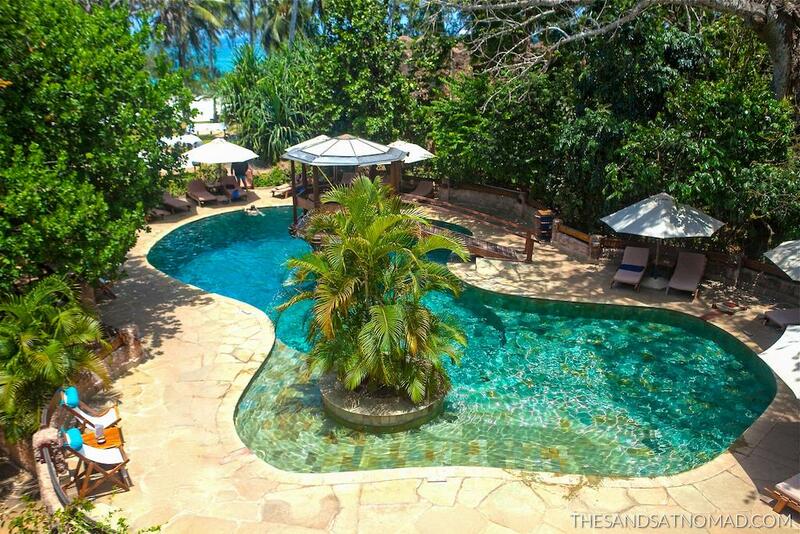 A combination of discretion, tranquility and warmth with the privilege of the award winning Diani Beach. Nestled into 26 Acres of pristine coastal forest this hotel steps away from the traditional block hotel concept, into an atmosphere of space, freedom and personal care. A contemporary mix of nature, Swahili architecture, Italian interior deco, Arabic antique furniture and the comfort of a twist of luxury make your stay with us warmly unique and memorable. 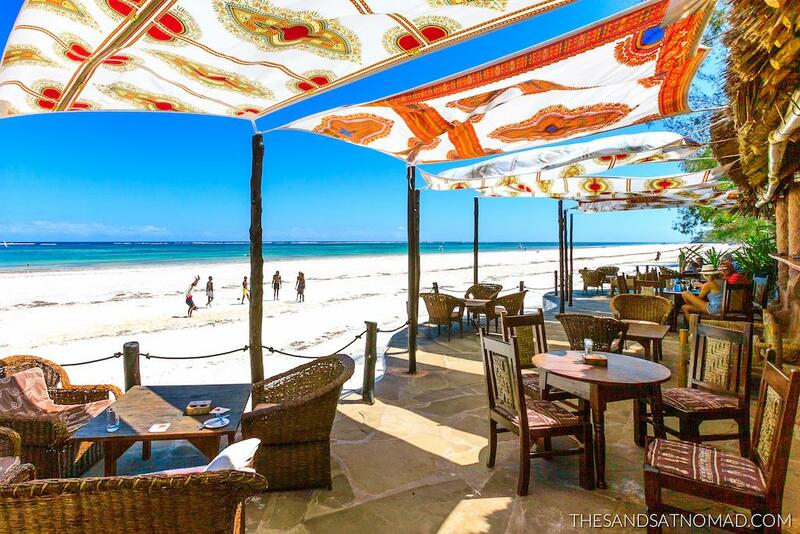 Situated on the south coast of Kenya, The Sands at Nomad lies 45 km southwest of Mombasa International Airport. Lying just 4 degrees south of the equator, it offers you a choice of worlds that no other beach destination can equal. Coral seas abundant with fish life, coastal forests teaming with bird and insect life, snow white beaches offering safe warm bathing and of course Kenya’s world famous safari parks. 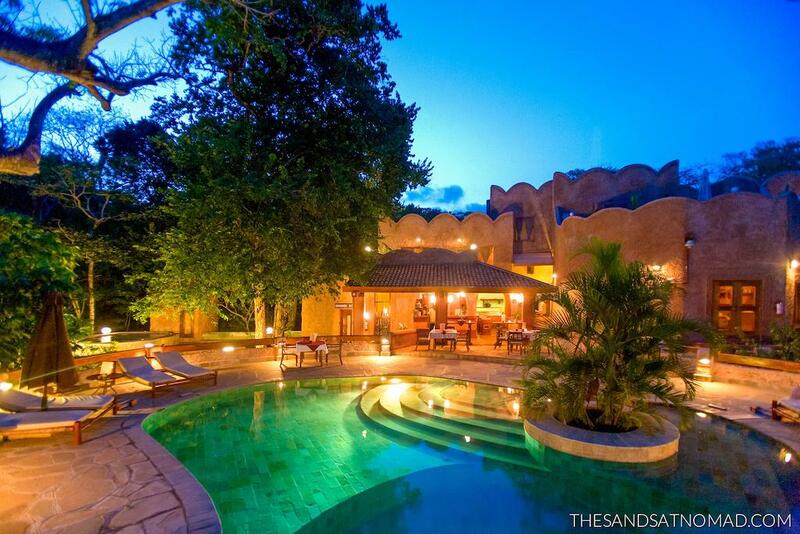 Unrivaled in terms of its idyllic situation, exclusivity and tranquility, The Sands at Nomad is the first Kenyan coastal resort to excel in the creation of the “Boutique” concept. The hotel is set amid 26 acres of indigenous coastal forest fronted by 225 meters of gentle lawns and waving palm trees, and enjoys uninterrupted access to one of Kenya’s most unspoilt stretches of silver sand and aquamarine sea. Every effort has been made to keep the natural vegetation of the Resort intact. All gardens and imported plants are carefully integrated into the Resort’s original flora with an aim at increasing the indigenous wildlife. In keeping with the world-class style and innovative panache of the hotel’s conception, the accommodation comprises an individualistic selection of 18 comfortable rooms, 7 exclusive beach cottages and 12 luxurious suites, many with private jacuzzis, panoramic terraces and spacious sitting rooms. All the rooms are individually interior designed and furnished with an inspired combination of Swahili objects d’art furniture and the finest mahogany woodwork. Each room is equipped with: air-conditioning, Minibar, internet access. Set aside from the resort for extra privacy and accessed by a private gateway, the restaurant offers a luxurious tropical breakfast buffet to start your day. The restaurant is also open for lunch and dinner serving a choice of buffet or A-La-Carte according to your requests. A wood fire, brick oven, fresh ingredients, and pizza chefs that have been with us from the day we opened are the perfect recipe for the best pizzas on the beach! A wide range of traditional pizzas with a few contemporary creations will leave you waiting for your next thin crusted bite. Unlike most other beach destinations, this hotel has something to offer everyone. Normal resort activities available include a magical SPA, a well equipped watersports center, Yoga, guided forest walks, frequent low key local displays and a selection of boat excursions. Other activities available in the vicinity of the resort include tennis, golf, a selection of shopping possibilities or for the more adventurous a wide range of safaris. 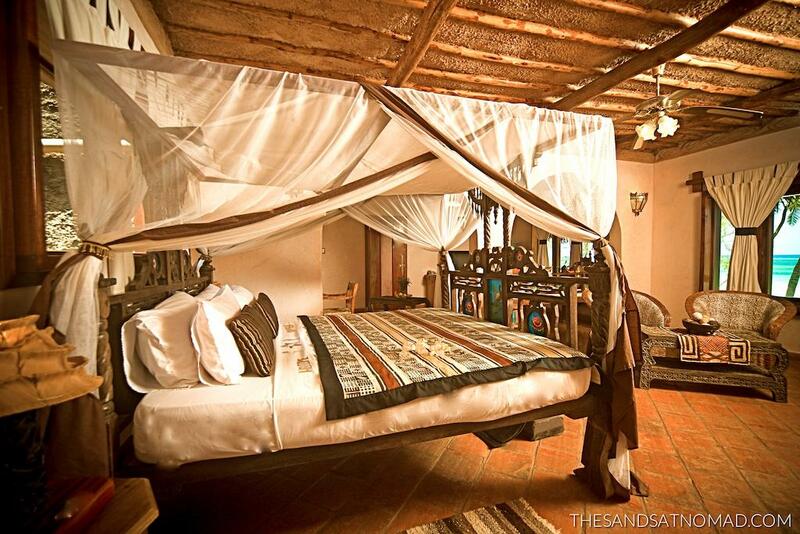 Would you like to stay at The Sands at Nomad? Please have a look here for the best prices & availability!